It’s true during this season of the year we attend holiday functions that encourage unhealthy eating habits. But this column is more about a deep seated problem of overeating, using food as a comfort to cope with loneliness or stress. After a long day at work a young woman comes home to her lonely apartment. She changes immediately into her pajamas and curls up with her favorite television program. Soon the food commercials drive her to the kitchen. Instead of cooking a healthy dinner she ends up binging on junk food late into the night. 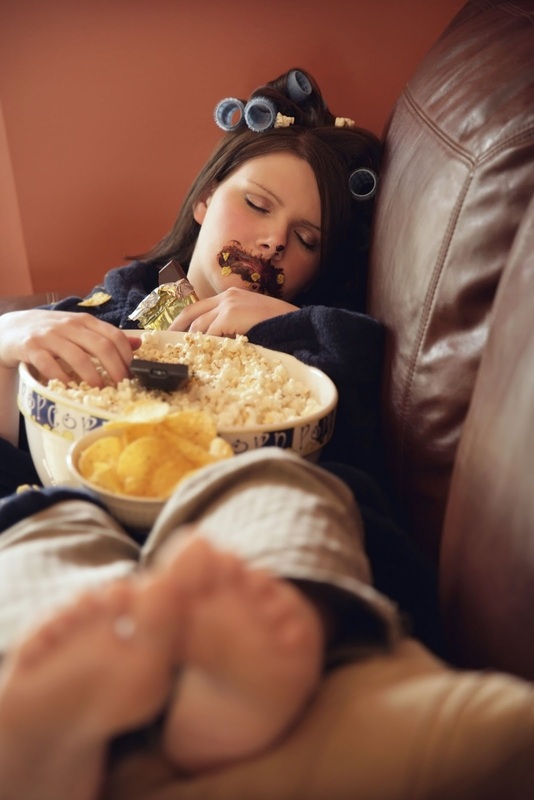 With her body full of carbohydrates she passes out on the sofa waking to a sugar hangover not unlike that caused by alcohol. What’s at the root of overeating? What am I feeling when I want to eat? Am I lonely? Tired? Bored? Sad? Angry? Can I redirect these feelings into a healthier activity? This addiction is so closely related to my own struggle with sexual addiction that it’s hard to separate the two in my head. Like most addictions, I think overeating starts with a bad habit and continues out of shear boredom. If we can find our way to self-awareness, to enjoy the present moment without the need to anesthetizes ourselves in some way, maybe we are closer to a solution. As always if you struggle with this or any other issue discussed on my blog, please don’t stay in your pain alone. Reach out to a trusted friend or family member, counselor or pastor. There are many great community resources available to help you. Also, don’t hesitate to email me: tamara@reachinghurtingwomen.com and I will do what I can to direct you to an answer.